Home » Magazine » National » Mood In Chhattisgarh Favours Anti-Incumbency, But Will Congress Benefit From It? Ushinor Majumdar	October 18, 2018 00:00 IST Mood In Chhattisgarh Favours Anti-Incumbency, But Will Congress Benefit From It? The BSP’s alliance with the CPI and the Chhattisgarh Janata Congress of former CM Ajit Jogi in Chhattisgarh has created the ground for the first three-way battle in the state’s history of assembly polls. Recent elections in the state have seen contests restricted largely to the BJP and the Congress. 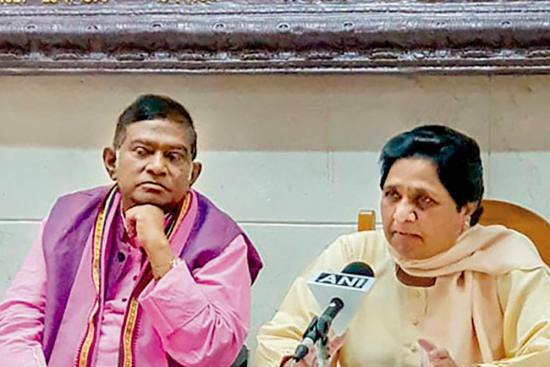 On October 15, the BSP announced this coalition with the Chhattisgarh Janata Congress and the CPI, which had secured 5.15 per cent of the voteshare in the 13 seats where it fielded candidates. Jogi became the first chief minister after the state’s formation in 2000. 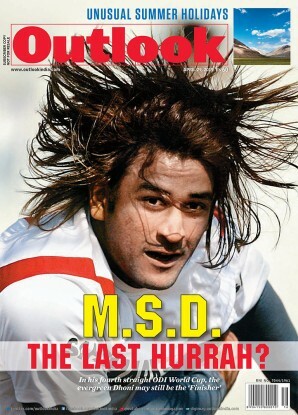 The BJP’s Raman Singh has held the post since 2003. The new alliance plans to campaign hard in the Bastar region where the CPI’s Manish Kunjam is also well-known and has won twice from one of its Vidhan Sabha seats. Whether the people vote for the ­alliance or not, Jogi is going to make quite a bit of noise. He is a wily pol­itic­ian who has navigated himself out of many a controversy and continued a political career despite a helicopter accident restricting him to a wheelchair. In the 2013 state assembly polls, the Congress had secured 40.3 per cent of the voteshare and 39 seats, which was not far from the BJP’s 41.18 per cent and 49 seats. 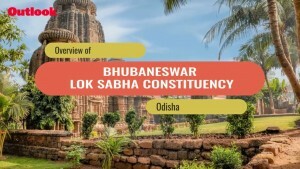 Around six months later, the BJP scooped up 10 of the 11 Lok Sabha seats during the 2014 Lok Sabha elections, but the Congress, with only one seat, managed to get a 38.4 percent voteshare, 10 per cent more than the previous election. “The Congress’s share in votes has inc­reased over the last few years and the mood here is the same as elsewhere because of agrarian issues, lack of jobs, and the effects of demonetisation and GST. However, there is no leadership in its state unit to take ­advantage of the anti-incumbency mood, and so I feel people will vote based on candidates. The lack of leadership in Goa has also cost the Congress some MLAs,” says Trivedi. As we go to press, the Congress is yet to announce candidates in the state, though elections are less than four weeks away. It had hoped to strike a deal with the BSP, which didn’t happen. A Maoist attack in 2013, six months before the state assembly polls, had wiped out most of the top Congress leadership in the state. The Congress hasn’t grown any fresh talent in the state since then. The only top leaders of the party at the time were Ajit Jogi and his son, Amit Jogi. In 2016, they too walked away from the Congress, which had expelled Jogi for six years, and formed the Chhattisgarh Janata Congress. It is to be seen how a headless Congress fares in this uncertainty and the party’s national leaders may have to carry the weight. In the Gujarat state assembly elections, the Congress came close to upsetting the BJP’s incumbency of several terms. At the time, Rahul Gandhi was campaigning almost alone in the western state. 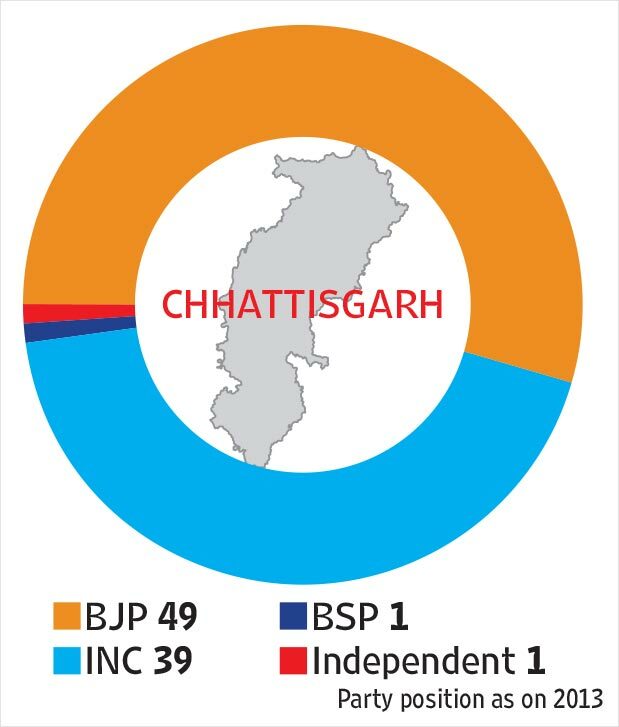 Going by news reports, the mood in Chhattisgarh favours anti-incumbency but whether it will translate into votes is a matter of speculation till the results are declared.